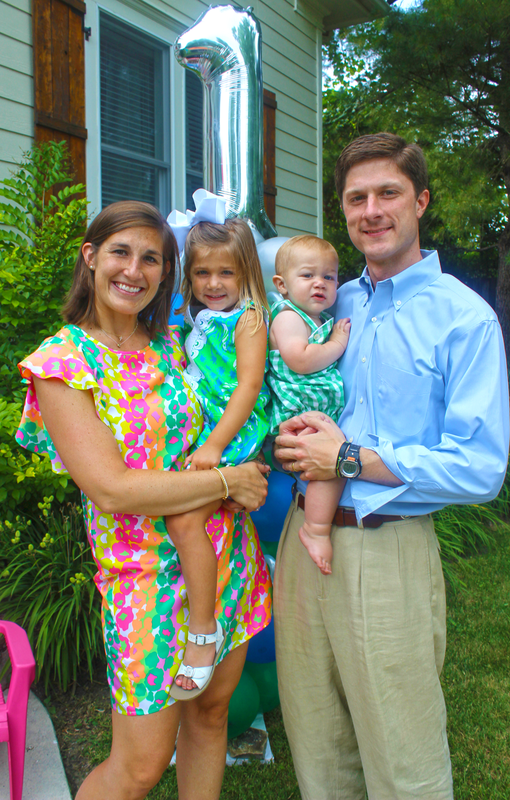 Nico and LaLa: Fun First Birthday! We woke up to a heavy dose of FALL this morning in Chicago!! Even though we're sad to see summer slipping away, part of us can't help but be excited for the changing of the seasons. With the start of fall comes a lot of things we love including Saturday football games, dark manicures (welcome back Lincoln Park After Dark), and pumpkin flavored everything. 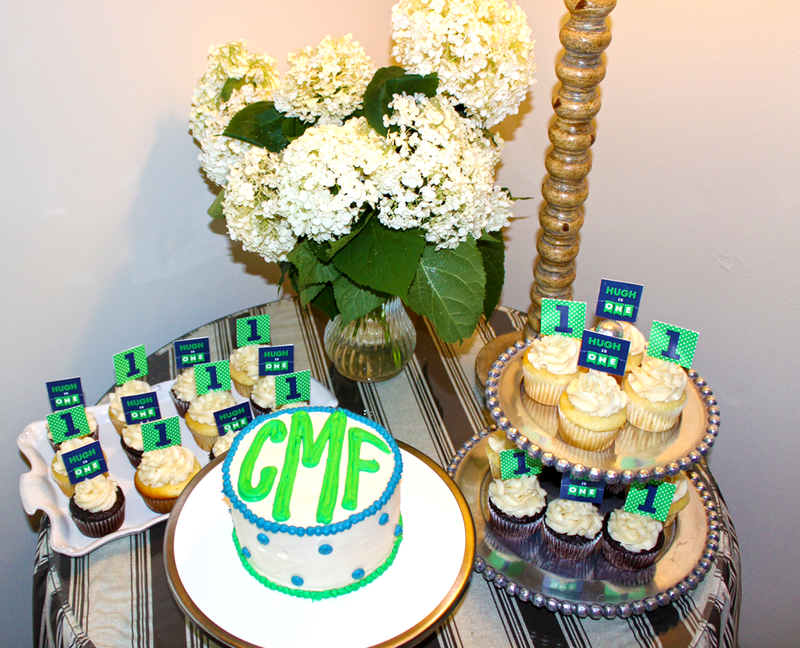 But before we completely immerse ourselves in autumn, we want to share a fun first birthday from early in the summer! Hugh was celebrating a very important birthday (his first! 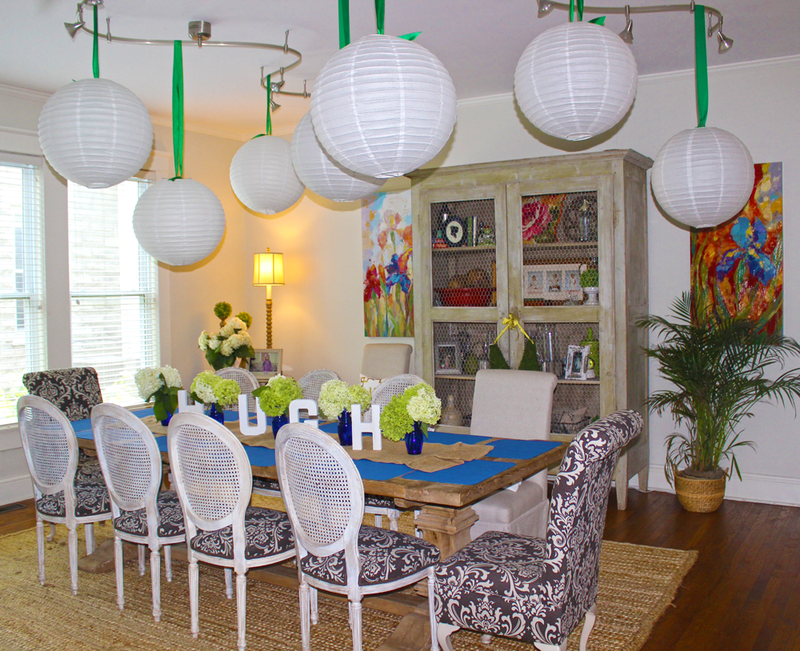 ), so his mom wanted to create a party that was both special and creative. Being the first boy in his family, we focused on masculine, primary colors (navy and kelly green), added in some fun polka dots, and finished the invite off with an unexpected and whimsical banner! 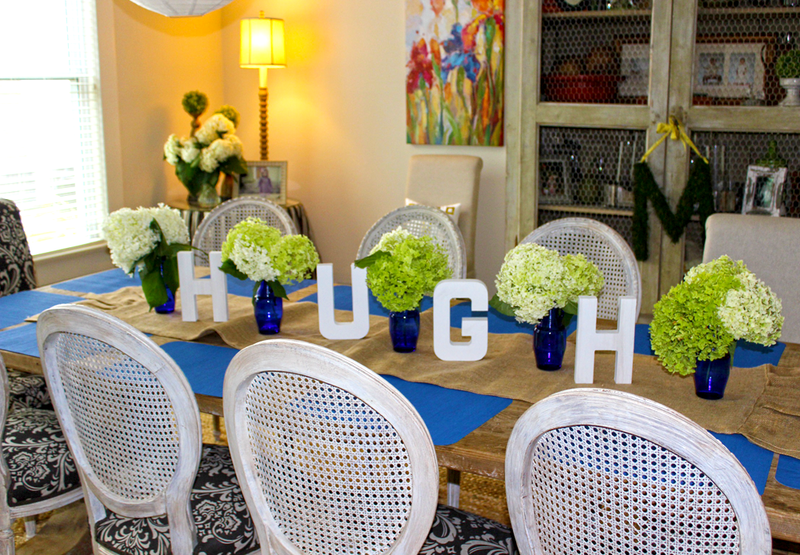 These design aspects were carried all throughout Hugh's party. 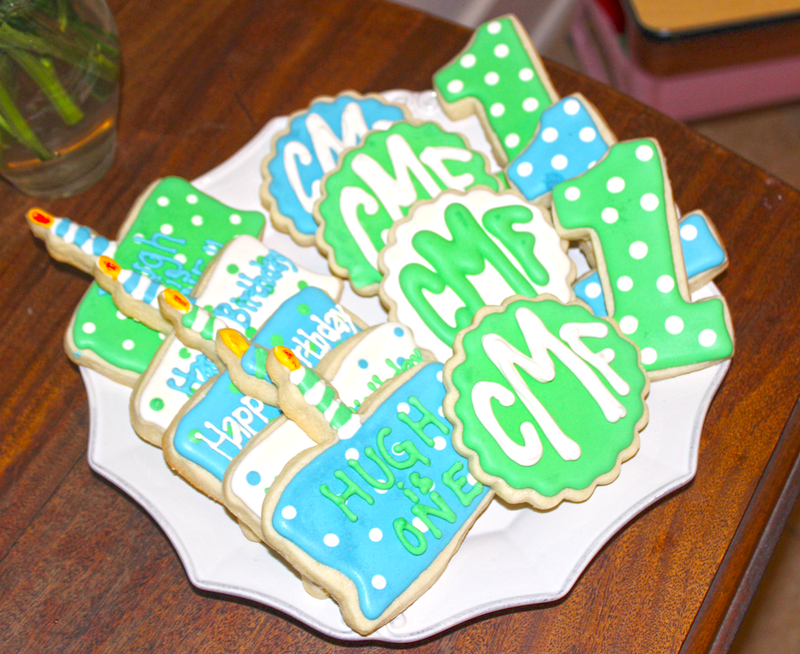 From his invitation and party swag, to the adorable coordinating cookies his mom had made, Hugh's fun first birthday was nothing short of delightful! 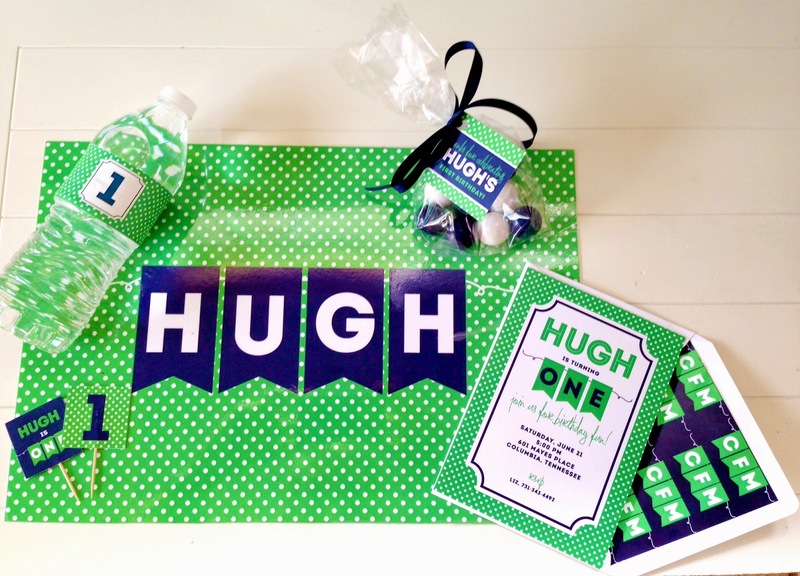 Hugh's fun invitation and party swag including a custom placemat, cupcake tags, waterbottle labels, and favor tags! A closeup of Hugh's invitations. 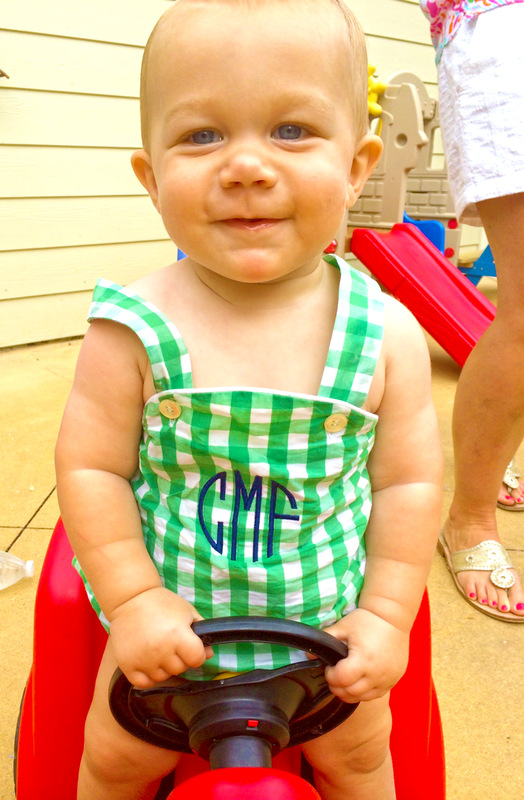 We love the monogrammed banners on his envelope liner! 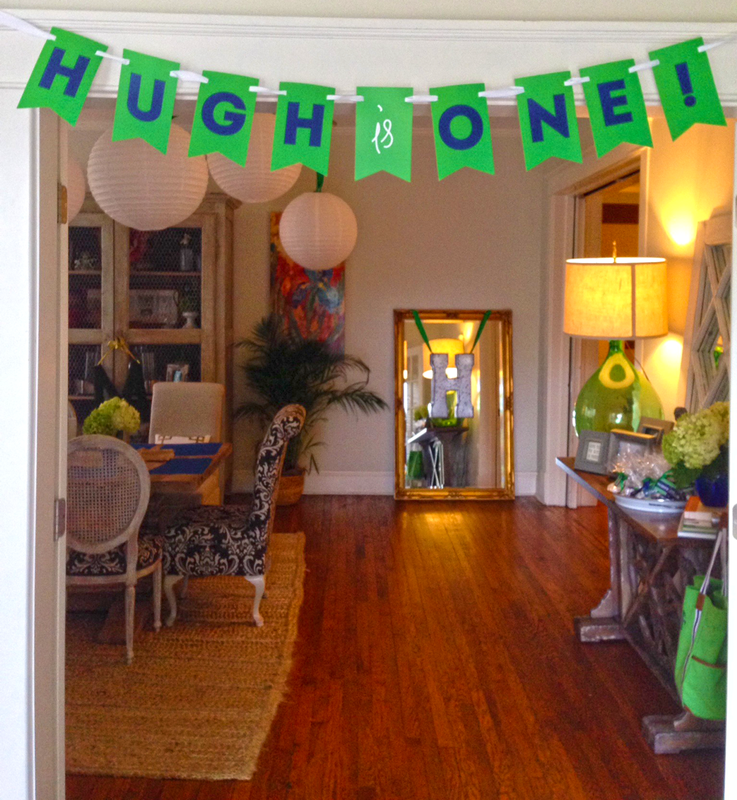 Since Hugh's invitations included a unique shaped banner, we HAD to create a matching birthday banner to match!! 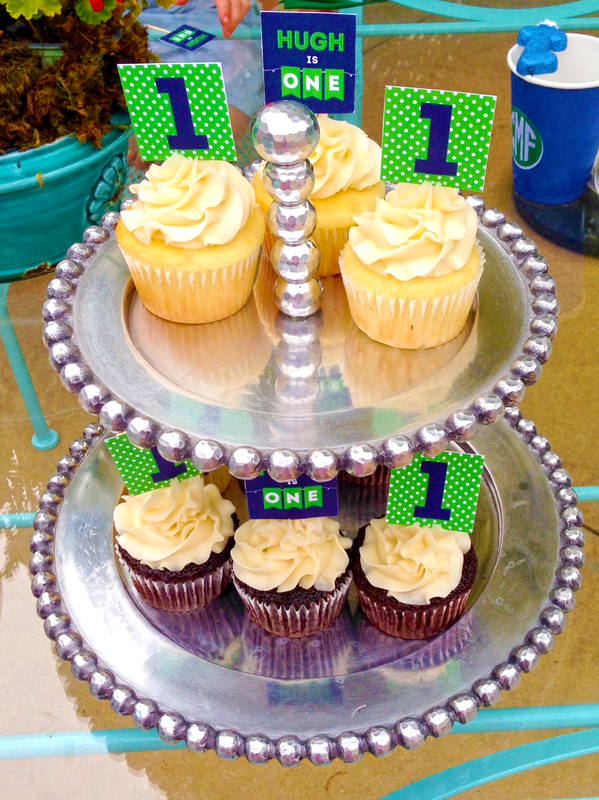 How adorable are these cupcakes topped with sweet cupcake tags?! Cheers to one year, Hugh! 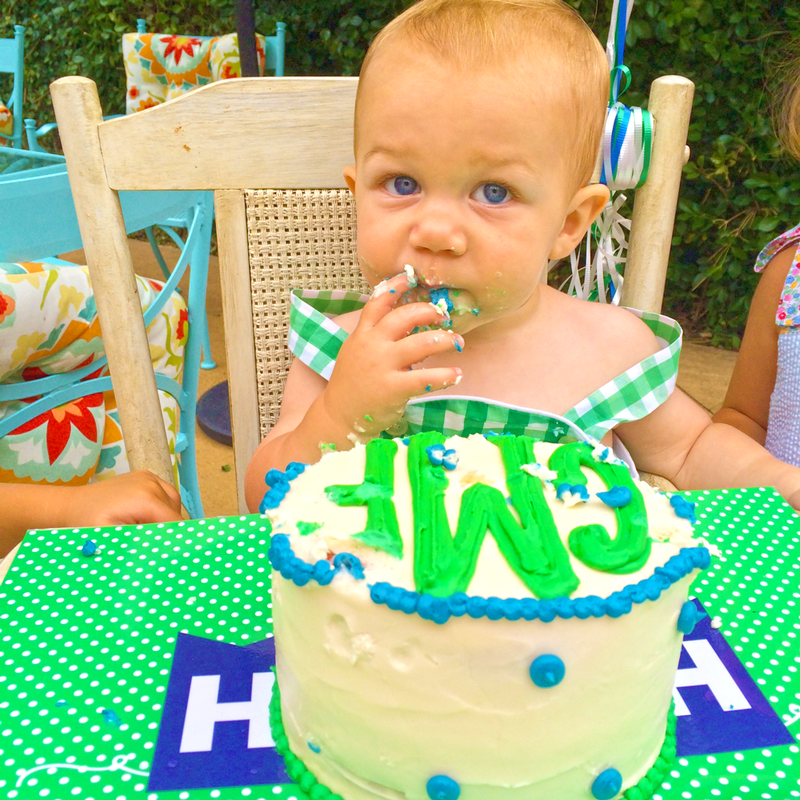 Hope you had the best time celebrating your first birthday. For more creative first birthday party inspiration, be sure to visit our children's party gallery and check out Harrison's first birthday fiesta! SO cute!